I discovered today's feature shop on Etsy's front page! It was one of those fluke things, too, since I don't usually enter Etsy through the front door but prefer to enter through either my own shop or the log-in screen. I'm so glad that I stopped by there the day I found Which Goose, though, because I really wouldn't want you all to miss this shop's beautiful offerings. 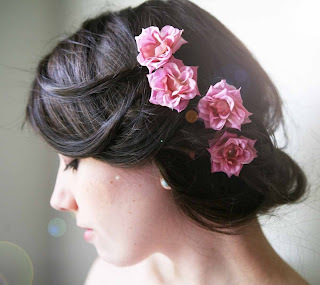 WhichGoose is filled with whimsical, beautiful hair accessories and clothing depicted in a variety of breathtaking, dreamy photographs that I personally think could be sold off as prints, all by themselves. Emily Zych, the creator behind these beautiful pieces, is a 27-year-old graphic designer who just recently left her day job to start making the whimsical crowns and other breathtaking pieces in her shop full time. You can definitely understand her success too! Just take a look at her work and there's no way to deny she's at the head of the line for beauty, creativity and quality. If you're looking for head pieces, decorative barrettes or bridal decorations for your hair or body, this is a shop you don't want to miss! 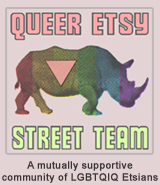 TO VISIT WHICHGOOSE'S SHOP ON ETSY, YOU CAN CLICK THE PICTURES ABOVE OR, IF YOU'D RATHER, CLICK RIGHT HERE! Absolutely gorgeous, makes me want some blossoms in my hair all Spring and Summer!